How do Trump's days away from the White House compare to his predecessors? As President Trump departed for Trump National Golf Club in Bedminster, New Jersey, Friday for a 17-day working vacation, it will mark his fifth visit to that golf club and his 13th vacation-like trip since he took office. Mr. Trump has also visited Camp David in Maryland once and taken seven trips to his club Mar-a-Lago in Palm Beach, Florida, but that venue is closed for the season until fall. 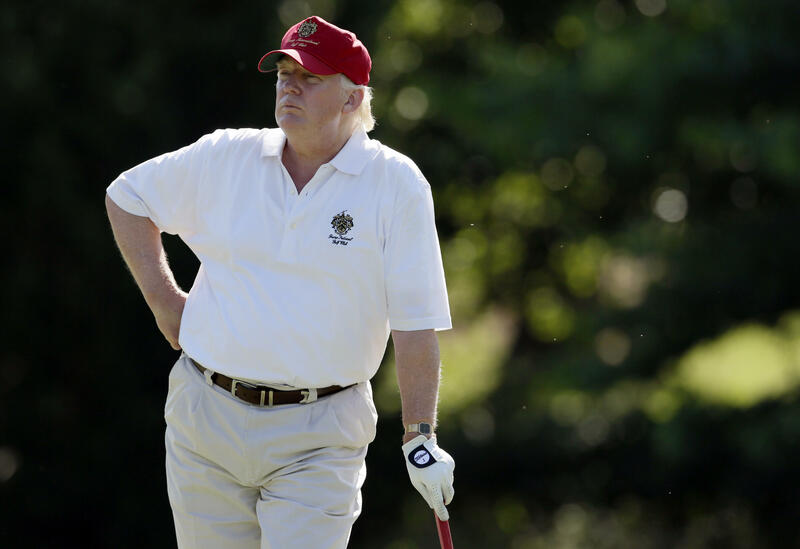 On a number of occasions this year, Mr. Trump -- who derided former President Barack Obama for playing golf -- has visited his golf clubs without confirming to the press whether or not he is golfing. So far, Mr. Trump has taken more vacation-like days away than Obama, but fewer than former President George W. Bush at this point in their tenure, according to statistics CBS News White House Correspondent Mark Knoller has been keeping. Bush was also criticized for taking ample vacations to his ranch in Crawford, Texas. As Mr. Trump leaves for vacation, he also leaves behind controversy in Washington, D.C. In the week leading up to his New Jersey trip, Mr. Trump's brand-new communications director Anthony Scaramucci was forced out by his new chief of staff, Gen. John Kelly, reports broke that Special Counsel Robert Mueller has convened a grand jury in the Russia investigation, and Congress dropped its bid to come up with a plan for repealing and replacing Obamacare. Here are the figures for Mr. Trump's days away from the White House, as well as those of Obama and Bush, as of early August, according to Knoller. CBS News White House correspondent Mark Knoller contributed to this report.